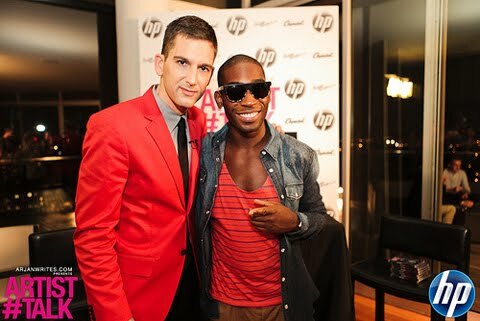 My buddy, Arjan Writes, had the most unique opportunity to talk to rising British hip hop star, Tinie Tempah for an event in partnership with HP who demonstrated Beats Audio technology (check it out here). Not only do I love Arjan, but I kind of am freaking out over Tinie and think he's someone that's going to be taking the US by storm pretty soon. I was so bummed that I missed this event, but thankfully, Arjan's got a bunch of photos and a video up so I can kind of pretend that I was there. Sorta. And so can you. Those who know me know that I LOVE KE$HA. I think of her as the icon for the post-feminist movement, doing more for the advancement of socially equal rights amongst women than any other female icon of the millenium. (New York – NY) Pop superstar Ke$ha has been named as Humane Society International’s first Global Ambassador. Her mission is to help HSI promote respect, protection, and compassion for animals around the world. “I am honored to be the first HSI Global Ambassador because my music is inspired by the freedom and primal beauty of animals and the natural world," says Ke$ha. "I take this opportunity incredibly seriously because we are ALL animals. One of the main underlying sentiments of my music is to respect all living creatures just as they are. I believe that together, we can change laws that allow innocent animals to be unjustly mistreated and abused all over the world." In her first collaboration with HSI, Ke$ha is asking her fans, to join her in signing on to HSI’s Cruelty-Free 2013 petition. The petition is aimed at making sure the EU honors its commitment to ban the sale of all cosmetics tested on animals by 2013, making the EU the world’s first cruelty-free zone. The move would force cosmetics companies around the world, including in theU.S., to stop the ugly business of animal testing or have their products removed from store shelves in the EU. The “Cruelty-Free 2013 petition” is available here: https://secure.humanesociety.org/site/Advocacy?cmd=display&page=UserAction&id=4543. Ke$ha is also teaming up with Tickets-for-Charity® on tour to offer fans an exciting new way to help Humane Society International with a special selection of premium concert seats for all North American shows in September! This exciting partnership offers fans and animal-lovers nationwide the opportunity to access fantastic seats in sold out sections to see Ke$ha rock the stage live while also helping HSI protect more animals and continue its vital work fighting animal cruelty, exploitation and neglect. These exclusive tickets are now available at www.ticketsforcharity.com.